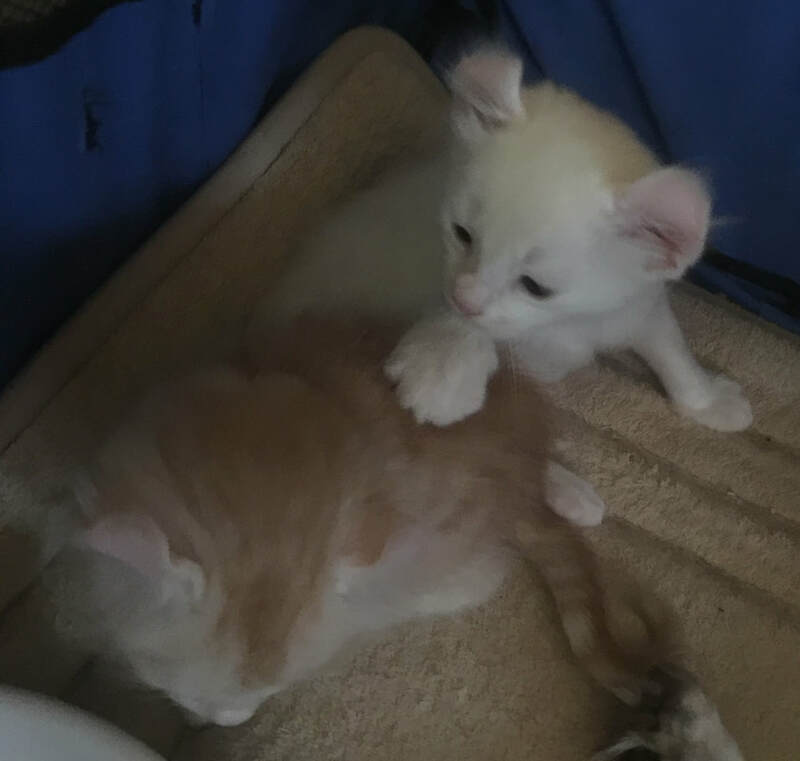 ​We were so impressed with Sabrina's last litter with Lovebug that we put them back together hoping they would give us the same fantastic kittens... and we weren't disappointed. Sabrina has 3 little babies. 1 color point boy and 2 girls. One girl is red. She is sold. The other is a straight ear red and white bicolor. The photo on the right shows Priscilla with her kittens. Charlie, the red girl that's sold is center in the back. The little color point is on the left and the straight ear girl is behind mom's head on the right. 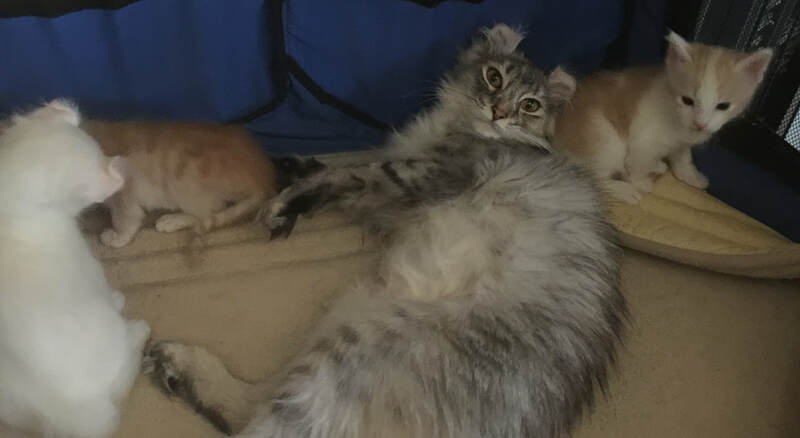 ​We rarely get straight eared cats from our breedings, but because we've brought in several domestic outcross bloodlines to strengthen our bloodlines, we do still have that gene in our background. That's the price you pay as a Curl breeder to improve the health of your cats. 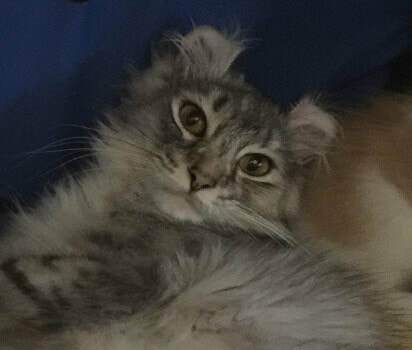 A cattery that has only bred curled ear to curled ear for generation after generation runs the risk of weakening the long term health of their bloodlines. Sabrina is a silver patched tabby. We've never taken the time to take nice photos of her for her litter page, I'll try to get some shots with her and the babies as the weeks go by so you can see what mom looks like. None of these babies are going to have her coloring. Dad is Curlniques In Light of His Grace, or "Lovebug" as we call him. This is a really bad picture of Lovebug. We have a better one. I just need to find it. Lovebug is a red and white bicolor. 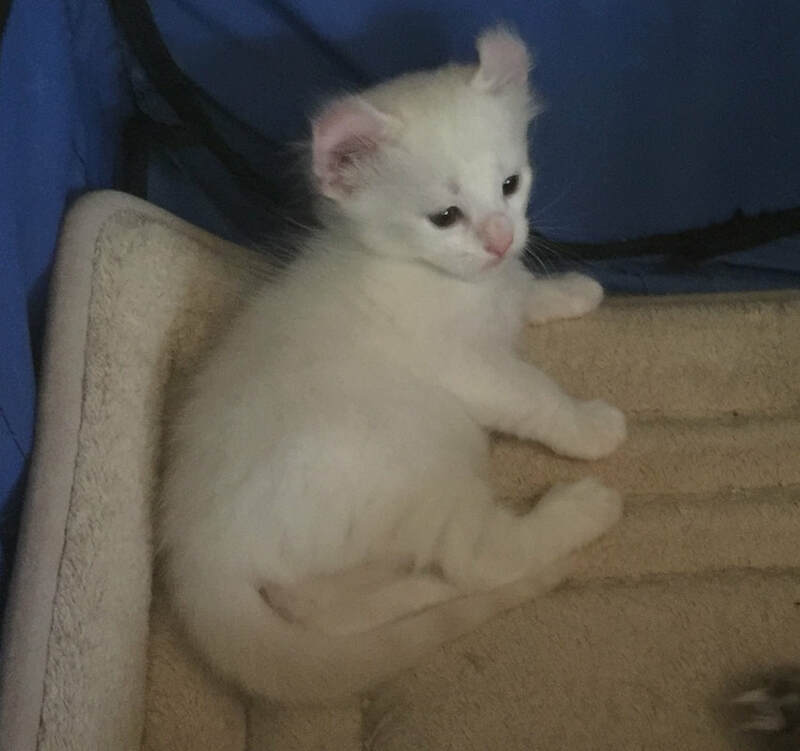 Also available is the little straight ear red and white kitten behind mom's head. 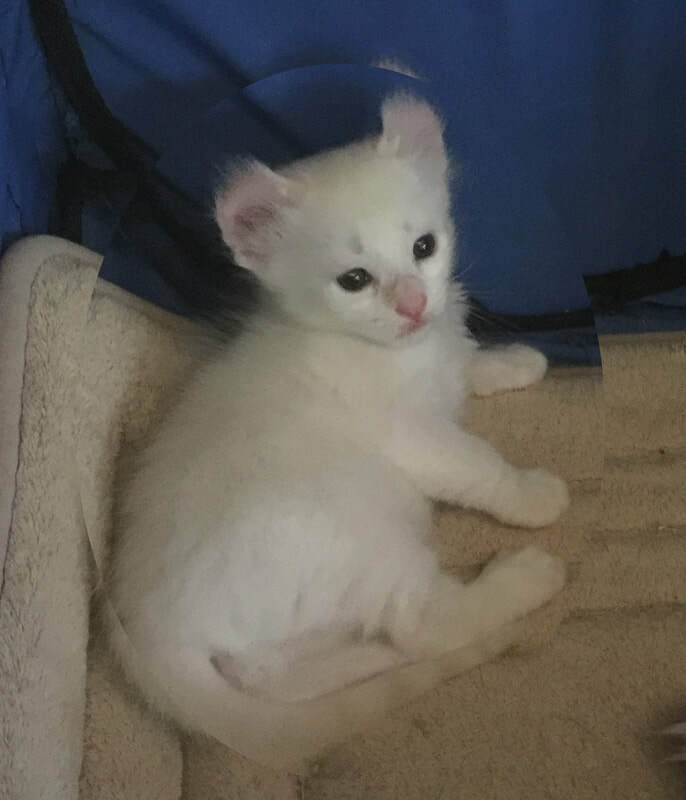 She is a cutie, but because we have several different domestic bloodlines in our cattery which gives us healthier kittens, we will sometimes get kittens with straight ears. After all, the American Curl breed was started by breeding a curled eared cat with domestics. 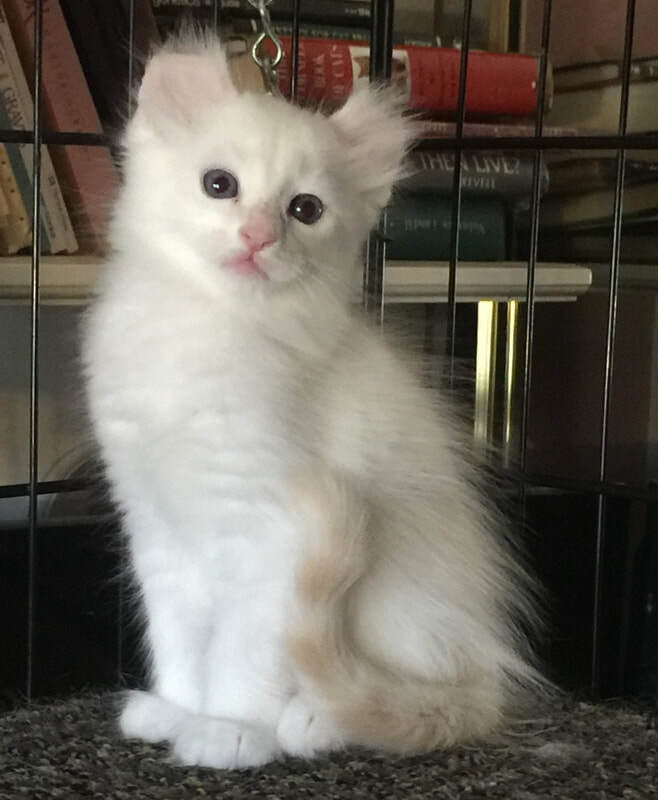 We will offer her for free as a companion with another kitten sold.